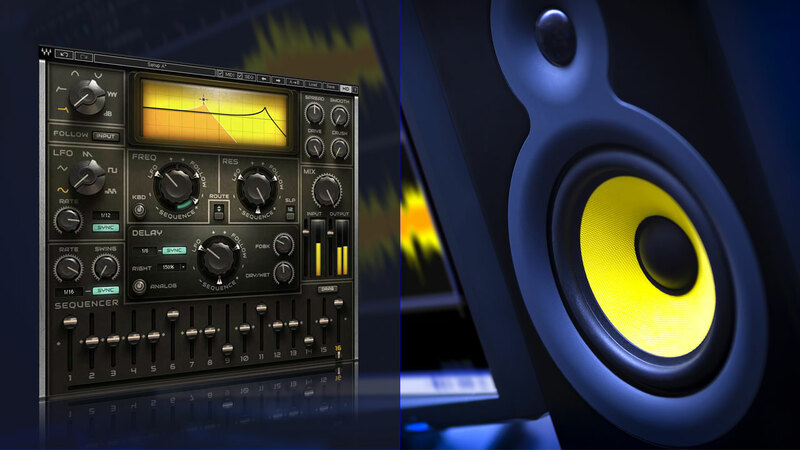 Mixing is about balancing sounds correctly and giving them motion, texture and cohesion. Achieving those goals, however, isn’t always straightforward. A good workman doesn’t use a wrench to pound a nail into place. It may do the job, but it won’t be nearly as efficient as using an actual hammer. Just as a carpenter needs to know the difference between the various saws in their toolbox, you need to understand the basic effects types at your disposal. Time-based effects include delays, echoes and reverbs. (We will cover more on reverb in a future article.) At their core, they all basically do the same thing: capture an input signal, delay it slightly, then play it back. The timing and varying complex processing of the resulting signal(s) is the main thing that differentiates them. The terms “delay” and “echo” often refer either to a single repeat of a sound or a series of repeats utilizing feedback (a control where some of the output signal is routed back to the input) to produce a series of repeats, each one sometimes slightly degraded in quality from the one before. Short delays of approximately 50 ms (milliseconds) or less cannot be perceived by the human ear as separate sounds. Instead, we hear them as a kind of room ambience or a doubling of the input signal. Slightly longer delays (in the 75 to 250 ms range) with little or no feedback are often called slap-back. This refers to a tape-based technique developed by legendary engineer Sam Phillips back in the 1950s – think Elvis Presley. Long delays of 250 ms or greater are perceived as discrete repetitions of a sound. These can be used to create polyrhythms in the music, or to add emphasis to specific words being sung. A subset called tap delays simulate the action of analog tape-based units that utilized multiple playback heads spaced a few inches apart for the creation of multiple discrete echoes – not just a single echo being repeated. These are useful for creating wild new rhythms and layers and are commonly used in dub and techno genres. One example of this is the Waves SuperTap, which provides extensive modulation, panning, and filter options, as well as a spatial positioning vector display. If the LFO is used to vary the amplitude (volume) of a signal, the result is tremolo – a trembling effect that makes a sound more rhythmic, percussive or stuttering. If it’s used to vary the pitch of a signal, the result is vibrato. If the LFO is used to periodically change the timing of a slightly delayed signal (in the 0.1 - 10 ms range), the result is flanging. If it instead sweeps a series of notch filters (components that sharply reduce extremely narrow frequency ranges), the result is phasing. Both flangers and phasers typically provide a feedback control, which intensifies the effect; at extreme settings you can get uncontrolled “howling” noises. Flangers and phasers are both instantly recognizable for the 'swooshing' and swirling effects they create. As you increase the speed of the LFO, they often take on a ‘watery’ quality. If the LFO is utilized to periodically change the pitch of the incoming signal and shifting the timing of delays, you end up with chorusing. As its name implies, it’s like the effect of hearing a real-life choir, with many people singing. Even the best trained choral singers don't hit every single note exactly at the same time, or exactly on key, which is why the end result is a glorious spread of sound, with the slight changes in pitch and timing adding richness. Stereo chorus effects split an incoming signal in two and use the LFO to slightly shift the panning of each channel, further adding to the envelopment. Applied to electric piano and arpeggiating guitars, chorusing creates the impression of two instruments playing the same part – the embodiment of the classic ’80s sound. Waves offers a wide range of versatile modulation effects: Enigma offers both flanging and phasing, along with filtering and reverb. MetaFlanger is, as its name implies, essentially a flanger but it also adds chorusing. MondoMod provides a tempo-synchronizable LFO with 5 selectable waveforms and can be used for chorus, tremolo, vibrato and special panning effects. Finally, H-Delay Hybrid Delay offers a wide range of “old school” effects like filtering, flanging, phasing, slap-back echo, and ping-pong delay, where the delay signals bounce between stereo channels. Distortion / saturation effects typically simulate the sound created by overdriven analog components such as vacuum tubes, transistors, and magnetic tape. Though they are commonly used for adding grit (with saturation being the more subtle of the two), either of these effects can fatten up thin sounds and/or help them better cut through a dense mix when applied in small doses. A little bit applied to a bass, 808 kick, or lead vocal works wonders to make the part stand out. Just be sure to not be too heavy-handed and overdo it; if everything in your mix is too harmonically rich, there's a chance nothing will stand out! Read here to learn more about using analog-style harmonic distortion in a mix. Some 'workhorse' tools that provide detailed control for shaping saturation and distortion include Manny Marroquin Distortion, which features parallel distortion paths and frequency shaping; OneKnob Driver, a simple control that simulates the sound of guitar overdrive pedals; and Kramer Master Tape and J37 Tape, which emulate well-known vintage 1/4" reel-to-reel machines, with adjustable tape speed, bias and noise. Amp modeling plugins can provide accurate emulations of the world’s best-loved guitar amps and speaker cabinets. These kinds of plugins can come in very handy during mixing. The most obvious applications are to reamp the DI signal of a keyboard or bass, or to rescue a badly recorded guitar part – even one that’s been played on an acoustic guitar – but amp modeling plugins can also help mask other problems such as clipping. Waves GTR3 Amps offers many guitar and bass amps, including clean, overdriven and high gain models. So don’t use flanging when phasing will work better. Don’t use distortion when saturation is called for. Don’t use tremolo when what you really want is vibrato. Always choose the effect that best complements the music. Reverbs and time-based effects like delays should almost always be accessed via an aux send and return, with their Mix controls set to 100 percent. This not only allows you to route multiple signals to a single effect but also ensures that only effected “wet” sound arrives at the aux return. You can then blend the desired amount in with the unaffected “dry” sound to taste. Other kinds of effects like saturation, tremolo or flanging should usually be accessed via channel or buss inserts – this way the sound can be effected completely without the added gain or potential phase issues by blending an effected duplicate. But, depending on the situation, running effects in parallel can certainly be used to yield creative results if that is what's desired. Yes, effects are cool. Yes, they sound great. And there are literally thousands of them out there. Which is exactly why many newbies fall into the trap of using them on way too many tracks. Experienced mixing engineers often strive to add the least amount of processing. To use a well-worn metaphor: mixing is like cooking, and any chef will tell you that few dishes are improved by tossing in dozens of different seasonings. The same goes for effects. A good rule of thumb here is: if you’re adding effects to more than five or six tracks during mixing, there's a good chance you're overdoing things. Take the effects off a few of them, and focus on balancing the sounds instead. Your listening audience will thank you for it. Okay, so you’ve decided to heed our advice and add effects to just a handful of the tracks you’re mixing. That doesn’t mean that each of those tracks should receive just one effect each, however. In fact, you can often get better – and certainly more interesting – results by chaining two or three effects together. Flanger or phaser before (or after) delay / echo. Delay or echo into tremolo. Pitch-shifter (set to just a few cents) before distortion, saturation, or amp model… or vice versa. Adding effects to reverb sends or returns can yield some amazing results. Flanging, phasing, chorusing, and harmonizing all work well for this. The intermingling of effects with dynamics processing can yield some very cool sonics, too. For example, apply a gate or expander with a medium attack time before a delay. This will chop off transients and make the delayed sound much smoother and easier to blend in. The Eddie Kramer Effects Channel includes a short delay emulating tape at 15 inches per second along with plate reverb at a medium setting, as well as a longer delay (7 ½ inches per second) with a bit of feedback and a longer setting on the plate. CLA Effects, developed in collaboration with legendary mixing engineer Chris Lord-Alge, provides reverb, delay, distortion, and various pitch effects, along with controls that allow you to adjust high frequency content and apply different filter styles – plus an advanced Throw function that makes it easy to add a long delay, or "delay throw" to selected phrases while writing mix automation. 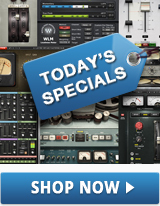 Provided presets allow you to instantly apply telephone-like FX, delays with tape phasing, or a combination of reverb, tape slap, and long echo. Most modern echo plugins allow you to automatically sync repeat times to the song’s tempo, then specify the interval of the repeats in terms of note values rather than milliseconds. This is a powerful tool, and one that should usually be employed whenever the tracks you’re mixing were recorded to a click track or aligned to the grid in your DAW; fail to sync them and you’ll be undermining the main rhythmic pulse of the song. Another cool trick is to apply two simultaneous synchronized echoes to a sound – one with, say, a triplet setting panned hard left, and a half-note panned hard right. Route the original dry signal up the middle and experiment with varying amounts of “dry” versus “wet” signal – you can even automate those changes to create a constantly shifting soundstage. Or route the echoes to a pitch shifter to turn simple guitar or synth lines into complex arpeggiator-like patterns. Notice, however, that we said that sync should just be employed most of the time. That’s because echo times that bear no obvious relationship to the tempo have a charm of their own and in certain circumstances can add a nice random “feel” to a mix. The key here is experimentation. Often times, offsetting a BPM-sync'd delay by just a few milliseconds will yield results that sound perfectly less-than robotic, but not so completely random that they feel out of place. Here’s another common mistake made by mixing newbies: applying an echo to a sound – any sound, but most especially lead vocals – all the way through a song. Do that and you’re guaranteed to: a) end up with a sloppy mess that obliterates all the other components in your mix, and b) bore the listener to tears. Instead, apply echo to just individual notes to give them emphasis, or to individual words within a vocal line as a way of 'underlining' certain lyrics; these are often called delay throws. (In the analog world, send faders were "thrown" to selectively send audio to an outboard delay unit.) An easy way to set this up in your DAW is to automate a track's send to a delay on an aux track, leaving the send volume down when delay is not desired and moving the send volume up over the waveform of the sound or word you'd like to highlight. If that same echo had been applied to Gilmour’s lead vocal from start to finish, it would have been a gimmicky distraction. Instead, this selective usage of an effect becomes an integral part of the song, a piece of ear candy that immediately grabs the listener and keeps their attention. There’s a powerful lesson to be learned here! Excited to start mixing with effects? Be sure that your in-the-box mixing levels are healthy with our guide to gain staging.